Converts protected Apple Music to common audio formats. 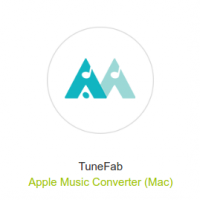 TuneFab Apple Music Converter makes the task easy and fast to deal with. It can convert Apple Music, iTunes M4P songs and AA/AAX audiobooks to plain MP3, AC3, AIFF, FLAC, etc. so that you can enjoy them with more freedom. You can make backup of Apple Music, listen to the music on any of your favorite device and even burn them to CDs! The code of Tunefab expired!!! Please, by the love of Lord, post a new license code here! Thanks in advance!! !